The Cakes had the most liked content! Good post Richard, says about all. I’ve had a 111S, N/A Exige and a supercharged Exige and if I’m honest I thought the N/A Exige was perfect for the road. I even preferred it to the S which was a 260. It was just more useable. 111S was a great car too but I wanted the looks of the Exige. I had the soft top conversion so you still get the best of both worlds. 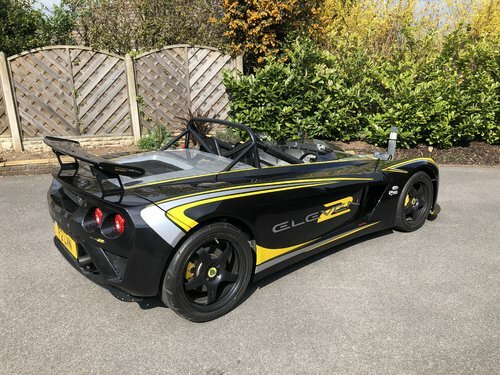 Out of all the Lotus I’ve owned i still think the S2 Exige’s are the best. Just great cars. Full member discount with advertisers how does it work? I think you’d just tell them when you book it in. Might be able to help you out. Can’t remember what sizes mine are though! I’ll have a measure tomorrow if I get chance and I’ll post a pic. I could post it to Gav. Ok I’ll keep my eyes peeled for you.